Enterprise Events Group (EEG) is a leader in the Event Management sector, with very large companies as clients. They collect a tremendous amount of data around these events, from speakers and schedules to room reservations and more. Afterward, their clients want to evaluate all the information they collected to see what insights can be gleaned. EEG had no quick and easy data analysis process for getting those insights to clients. EEG’s Services Director, Adam Clark, set out to find what insights their customers wanted and the best way to help them gain these insights. Adam found the best BI and embedded analytics solution with Sisense. I can build one dashboard and have several different experiences for my clients…that’s a big win for us. The EEG system is an event management software platform built on top of Salesforce. With it, EEG manages any type of event, such as incentive meetings, user conferences, trade shows, exhibitors, speakers and so on together with all the requirements the event entails. With a large event like a user conference, there are many different layers to the data that also require management and analysis: data from speakers, papers, sessions, session occurrences, vendors, booths, and more. 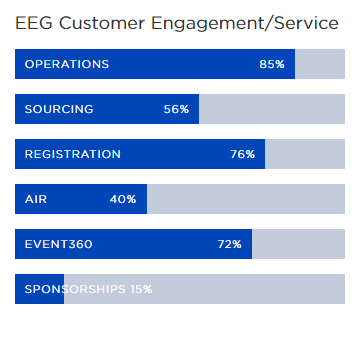 EEG had to structure the data to have the functionality and flexibility at an interface level so that they could easily deploy it to any event type and use consistent tools to report on the data. That is where the problem arose: though the data was being collected, the data created data dumps that were cumbersome to understand and not structured to produce easy or accurate data analysis. 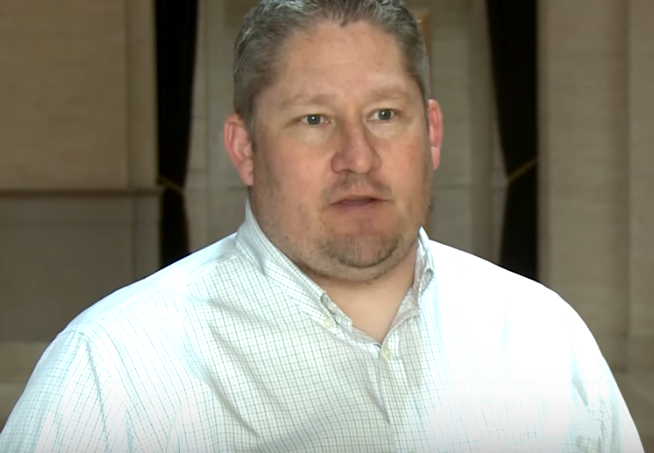 After Adam sifted through the data dumps of a number of their clients, he realized that some data just couldn’t be connected in a traditional reporting environment – creating gaps of what they could report. After talking to a long time client, he found that many of their clients were forced to manually pull data and reports together – and were spending a significant amount of time doing it. Adam attempted to solve the problem by doing data analysis for his clients internally and sending out the reports. But, for Adam to do that internally, he had to pull the data out of Salesforce, cobble it together, create reports and charts in Excel and then email them out. Every report would have taken weeks at least, and the clients wanted to see this data frequently and quickly, so it wasn’t feasible. It’s not about Sisense. It’s about us. It’s about our customers. Realizing reporting and data analysis was a real pain point both internally and externally, Adam set out to find a software that could also be embedded into their solution for customer-facing dashboards and reports. Adam went on to review 16 BI solutions with embedded analytics options that he found through Gartner’s Magic Quadrant for BI. During a search for the perfect BI tool, Adam took the time to understand what data was important to one of his long term clients. He sat down with the client and put together a dashboard that took care of every reporting need. The client absolutely loved the Sisense experience and the real-time data it provided. This client went from calling EEG daily for help, to becoming completely self-sufficient and barely needing EEG’s support. Now, EEG has created a whole slew of dashboard templates that they are able to easily leverage from one event to another by just changing a filter. They even built a roommate pairing system that trumps any report like it in terms of usability and accuracy. None of this was possible before Sisense. For me, Sisense isn’t about business. It’s about lives.